Have you ever got behind the wheel when you were just a bit too tired and probably shouldn’t have? Or had just a bit too much to drink? Or jumped a red light because you simply couldn’t bear to be stuck in traffic any longer? Is your nose growing into a tree branch by any chance…? Any driving instructor will tell you that the mechanics of driving are easy; so is learning the highway code. The real challenge is everything else, i.e. the environment around you, being alert to what other road users are doing and being ready for anything and everything. And if you google “what are the main reasons for car accidents?”, the results most often cited are: distraction, driver’s fatigue, drunk driving, speeding and reckless driving. What do they all have in common? People. So, in theory, if you removed the human element from driving, we would all be much safer. All rules would be abided by without cutting it fine and with undivided attention on the road at all times. It would free up time and you could catch a few more winks on your way to work, read a book, prepare for meetings or keep your children entertained in a bid to avoid the inevitable “Are we there yet?”. No need for designated drivers any more either. As long as you are still conscious enough to find your car, it will drive you home! So there are definitely some great benefits with computers driving us. But of course, making it a worldwide reality is more complicated than that. The priority for potential manufacturers and users is, of course, safety, but the technology necessary to make driverless cars completely reliable is only in its infancy. Although the basic features will be integrated as standard in all new cars over the next years (think assisted parking) the level of autonomy needed to enable a vehicle to govern itself without human intervention is much higher. It would require the car computer to be able to learn. In a word, we would need nothing less than AIs. 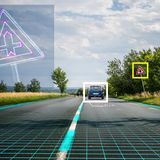 Vehicle vision is another crucial technological prerequisite, as driverless cars will need to be capable of detecting other vehicles, road users, traffic lights and road signs. At the current development stage, it only really works with good visibility. Add fog, snow, heavy rain or darkness, and it isn’t reliable. And one of the main obstacles is, of course, that self-driving vehicles should be able to apply common sense and cope with the unexpected. But how do you programme common sense? And the unexpected is, by definition, un-programmable. Current trials rely on exposing driverless cars to a vast number of situations, but the fact remains that they can only respond to what they have already come across which makes them not safe enough yet. A half-way solution would be a driverless car with an “auto-pilot” function that can be deactivated by its occupant when necessary. This view has been echoed by the Department of Motor Vehicles in the US which has ruled that driverless cars must have a driver to be allowed on the roads - to Google’s great frustration. Wouldn’t it be… defeating the point? 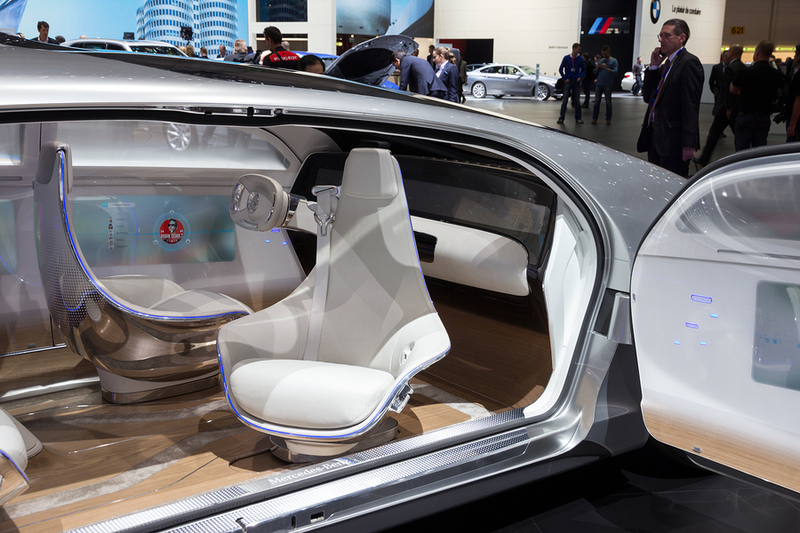 The introduction of autonomous cars would also bring an administrative and legislative upheaval about. Who needs parking spaces when your car can go and park itself somewhere else after dropping you off? It could be the start of an urban revolution, with city centres becoming pedestrian-only areas and vehicles only appearing and disappearing when needed. Would it be the end of the taxi industry? 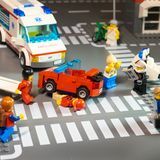 It is expected that car manufacturers, in turn, would certainly not welcome having to assume responsibility for each and every accident on the ground that it was caused by inadequate technology. Another aspect of driverless cars not often thought about is that of cyber safety and invasion of privacy. Driverless cars would need to be able to communicate with each other to some extent, and to use some form of GPS to locate their own position. This implies a network of information, and with it all the issues connected to internet security. The Internet of Things, with all its opportunities, also poses many threats. 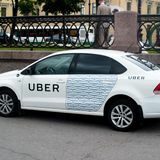 Cars are already being fitted with mobile apps and cloud services more commonly, but recent hacking fiascos such as that of Volkswagen show without a doubt that those systems are vulnerable to attack – 3G and 4G connections are notoriously hard to secure and easy to penetrate. While you may not worry that anyone would try to take control of your car in an attempt to murder you, you may think twice about which other personal data is accessible through your car. Identity fraud and theft of financial and personal information are very real possibilities. There is also the question of what happens to data collected legally by any party authorised to it. Of course, anybody with a mobile phone can already be tracked, but how would people feel knowing that their every car journey is recorded? In addition, the matter of invasion of privacy is very relevant too. Robust legislation would have to be put in place to ensure that civil liberties are not curtailed under the excuse of national security. But perhaps the biggest hurdle of them all will be how far we are willing to put our fates, and literally our lives, into the hands of computers. This will, indubitably, require more transparency from the automotive industry as and when driverless cars are really ready to be let loose on our streets. When we think about the technologies that have changed how we drive, often come to mind electric cars and autonomous vehicles. There are, however, very exciting innovations in architecture, engineering and construction that will revolutionise how we get from A to B. Here are some highlights. Every new technology comes with teething pains, and driverless vehicles have suffered them too with occasional crashes that resulted in material damage, but, recently, an Uber autonomous car has made the headline for something much more serious which could question the whole future of the technology as it killed a woman crossing a road in Arizona, USA. All the literature you will find is unanimous: today’s cars are much safer than they were two decades ago. To prove this point, NCAP, the Euro New Car Assessment Programme in Europe, produced a video in 2017 to ‘celebrate’ its 20 years’ existence, by crashing a car from 1997 and one from 2017 and analysing the results. But are they, really? 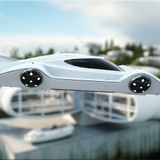 Flying cars may well sound like science fiction to us now, but with the advances in technologies required to make it happen – drones, vehicle autonomy and AI - they may become a reality sooner than we think.